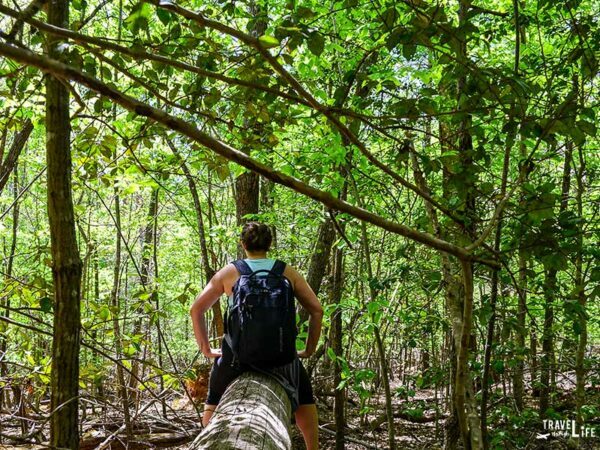 As people who have packed up everything they own into a 50-liter backpack while we traveled the world, we’ve learned to let things go. However, Christmas is a reminder of just exactly how much stuff one can have when they finally put their bags down for a while. And because things can easily pile up, we’ve implemented the “Four Gifts for Christmas” challenge in our home. Everyone in our house gets something they need, want, wear, and read, and that’s it. 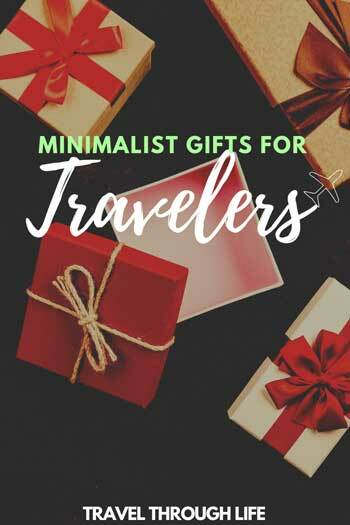 In case you’re wondering what would qualify for travelers like us and you, here are some of our favorite things in each of those categories. This bag is good for hikes and shorter journeys, as we mentioned in our day trip travel packing list. Every traveler needs a good bag and we’ve gone through quite a few, so here are our thoughts. When you’re running through the airport or rushing to hop on buses and trains or traveling locally, you want something that’s durable and that you’ll trust to take a beating. This bag is the only one you’ll need when traveling near and far. Don’t forget to organize and that’s where these cute and functional packing cubes come into play. Love ya, Kid, but you’ve gotta get your own bed! Our little one cannot travel without a sleeping space. 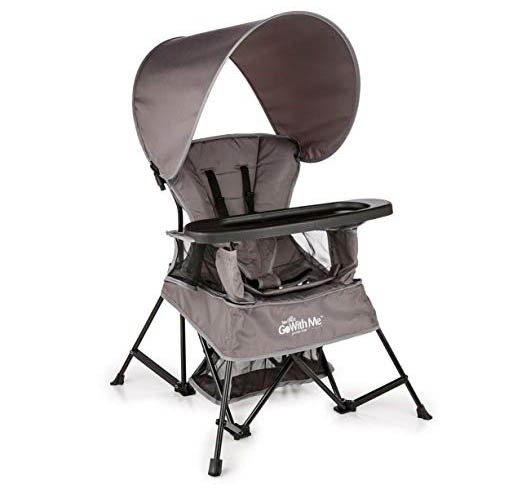 When she was an infant, we used this travel bassinet, but now that she’s an independent toddler we rotate between an enclosed travel crib or this super easy to put together toddler bed. 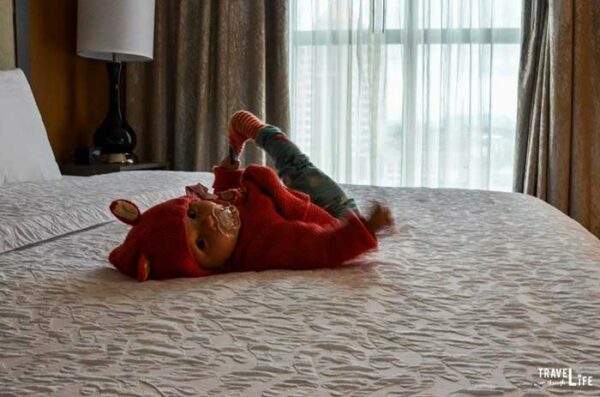 We love how lightweight all of these beds have been because when you’re wrangling an infant or toddler the last thing you want is something big and bulky to cart around! Our series of baby travel guides cover how we get around and what we pack in more detail! These headphones have been on my husband’s list forever! 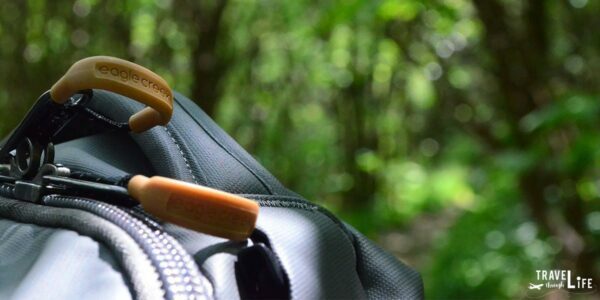 Whether you’re on a crowded flight, squeezing in a workout in the hotel gym, or trying to get some work done on a train or bus, it’s nice to have something high-quality to drown out the noise around you. According to this article in The Guardian, they are “the secret survival tool for modern life. 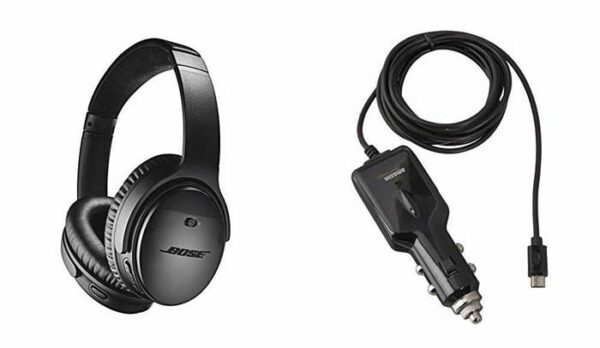 These headphones are wireless and also come with a car charger, so it’s easy to keep them on a full battery while in transit! 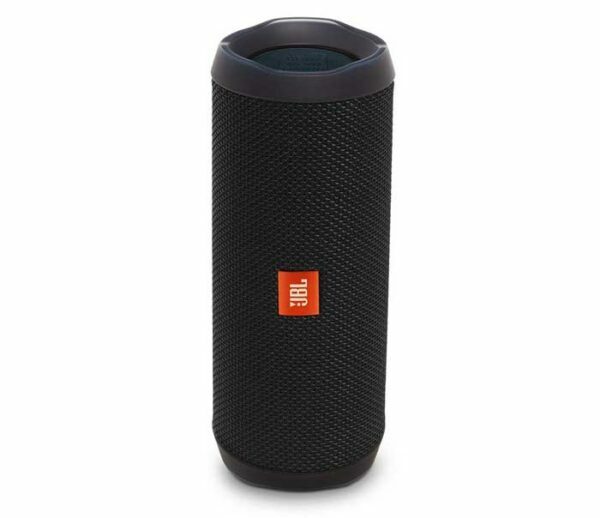 If you’re going to the beach and want to bring your tunes, a waterproof Bluetooth speaker is a must! While it’s not something that we would pack for our everyday travels, it’s definitely a nice luxury item to have. Take the party with you and don’t worry about it getting wet. For younger and older babies, one of our luxury “four gifts for Christmas” items would be this indoor/outdoor chair for serving meals. While we have made it work by letting her eat in our laps or on a towel on the floor, it hasn’t exactly been the easiest. This would be especially useful during those beginning eating stages where things are super messy and they are becoming independent with their spoon skills. I can’t tell you how many times I’ve cleaned pureed peas off of a hotel floor. This product is lightweight and folds up compact, so perfect for beach trips, camping, or staying with family! I love to feel comfortable and casual while traveling, but without adding the bulk to your bag. So instead of having a million different hoodies and sweaters, I tend to usually only pack one or two and layer and mix! Sweaters like this one or this one, pair well with jeans and are dressy enough looking to make you forget how relaxed you feel. 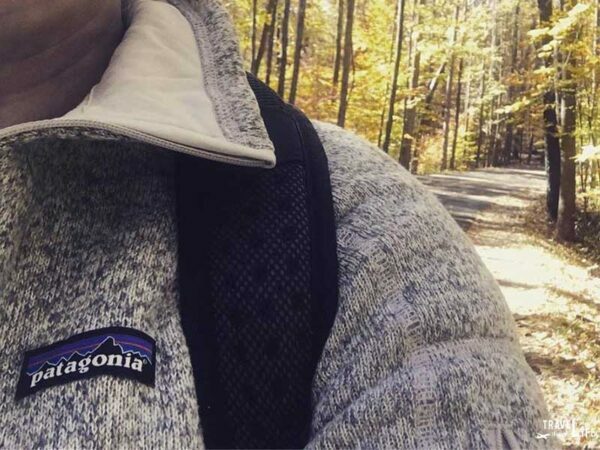 If your travel involves outdoors and hiking, we always have our trusty Patagonia! It’s held up to so many washes, mountains, and camping trips! It’s perfect for under a heavy coat in the cold winter or on top of layers in the falls when it’s just a bit crisp. 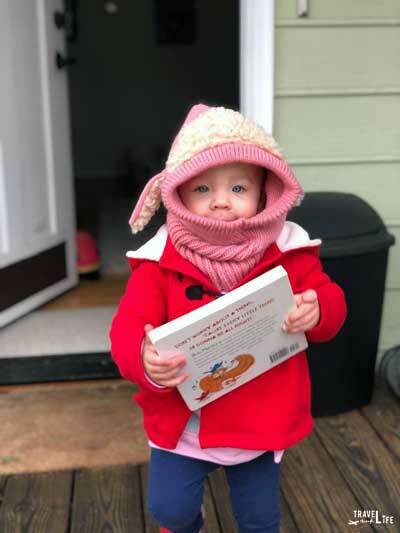 As a general toddler hack, this hat has been the single greatest thing we’ve bought our daughter! 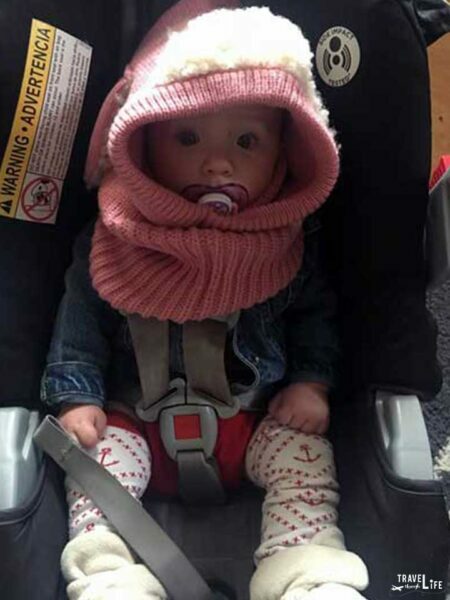 Not only is it adorable (and we get SO many comments about it while traveling!) but SHEDOESNTTAKEITOFF! Louder for those in the back?? She CAN’T THROW IT OUT OF THE STROLLER! We all know that kids lose countless hats, mittens, socks, or anything else you buy them. But this hat has been great. It’s cheap, cute, and stays on her little toddler head. Need help surviving travel with a toddler? Read more here! Finding something to read will always be a tough part of our “Four Gifts for Christmas” because we’re always gobbling up books and magazines. If you’re looking for something new, some of our favorite inspirational reads include The Alchemist, Bourdain’s Medium Raw, and On the Road. You also can’t go wrong with the National Geographic series, 50 States, 5,000 Ideas. 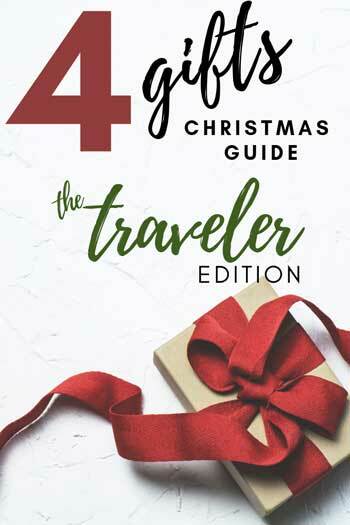 We love books and have also created a great gift guide filled with travel books here. The children’s book, Maps, is a staple in our household! So many things to explore for readers of all ages. Some other great ones to keep in the diaper bag are Children Around the World, Ticket Around the World, and P is for Passport. We hope you find your own “Four Gifts for Christmas” this year. Since we’ve shared our favorites, we’d like to know. What’s on your list of four? Got something we should add? We’d love to know about it in the comments section! This post about four gifts for Christmas is part of our Gift Guides series. Here, we’ve also covered inspirational books for people who travel, children’s books that inspire travel, and more. 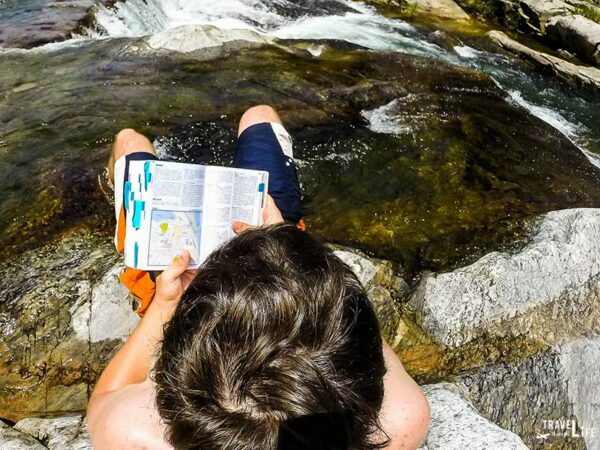 As an avid reader and traveler, I’d really love to take a look at some of those books for traveling kids! 🙂 I love On the Road and The Alchemist! Great article! Revved up my wanderlust. Thanks for stopping by, Heather! Hope you can enjoy these reads and can get out and live up that wanderlust really soon.